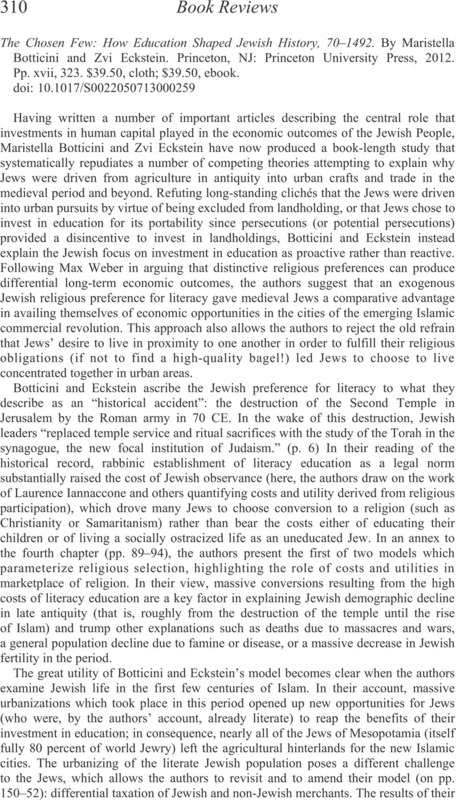 The Chosen Few: How Education Shaped Jewish History, 70–1492.. By Maristella Botticini and Zvi Eckstein. Princeton, NJ: Princeton University Press. 2012. Pp. xvii, 323. $39.50, cloth; $39.50, ebook.